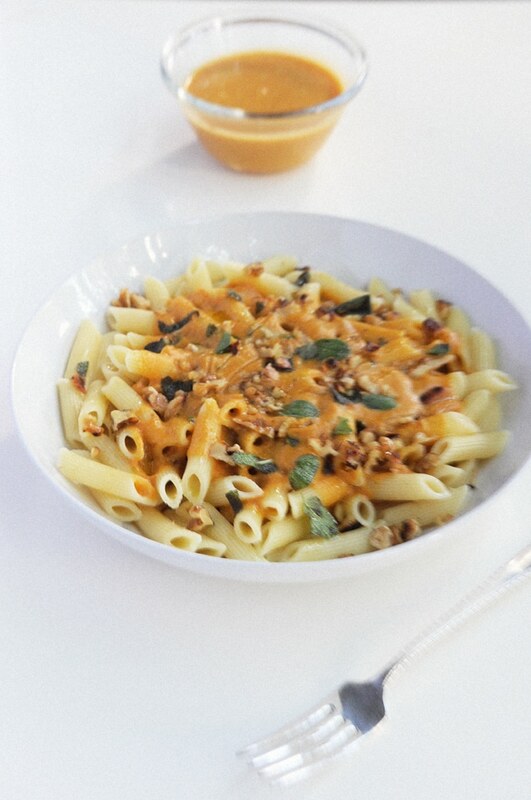 Vegan Pumpkin Walnut Sauce with Penne Pasta is so easy to make with the wonderful taste of Fall in a bowl. 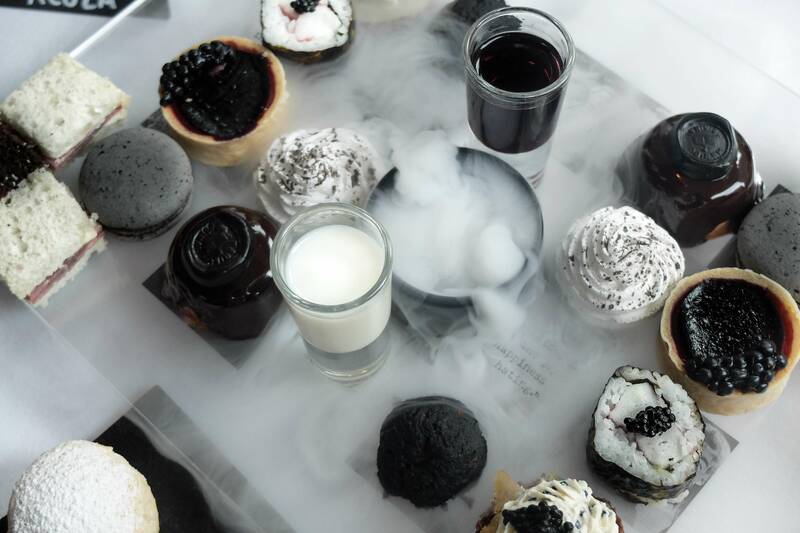 The season of harvest flavors in the air. 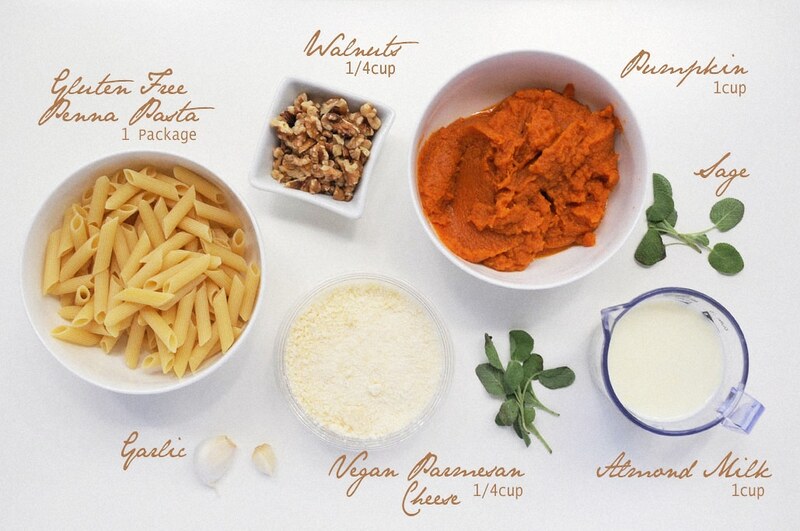 Vegan Pumpkin Walnut Sauce with Penne Pasta is so easy to make with the wonderful taste of Fall in a bowl. 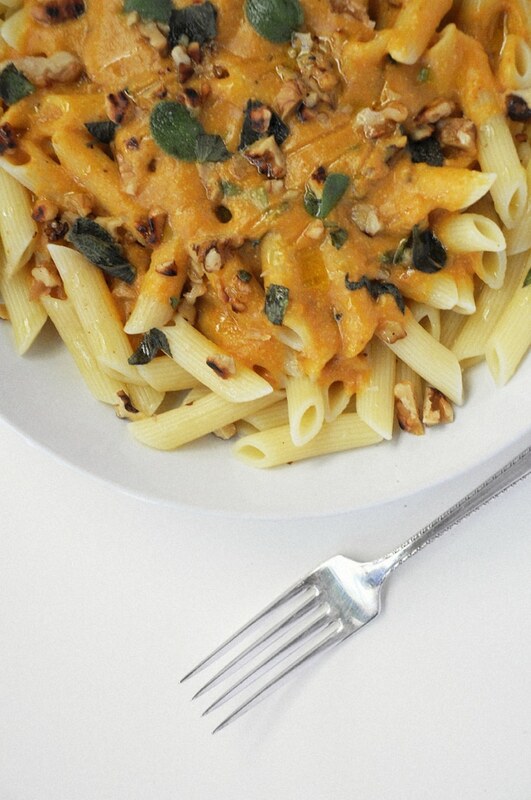 It’s that time of the year that pumpkin is all around us with harvest flavors in the air. 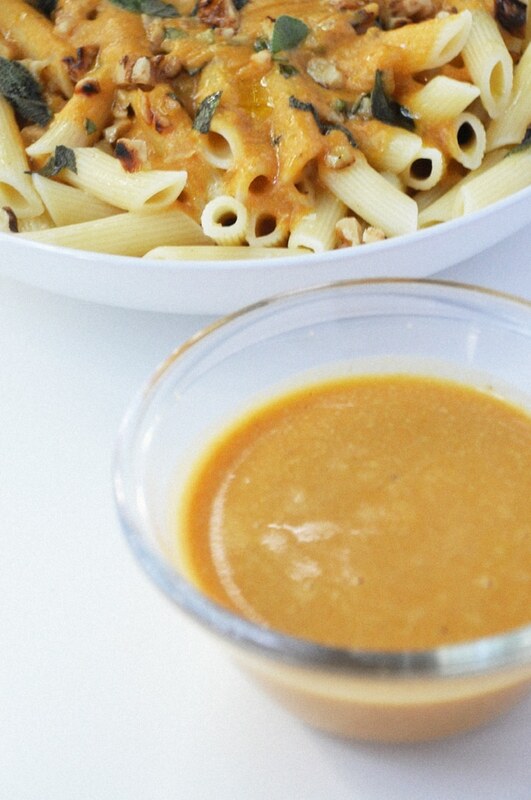 So lets get started with some pumpkin sauce that is delicious on any pasta. One of things that is so special in fall is all the varieties of pumpkin that comes out this time of year. I love them all and take into great consideration of how healthy they are to eat. 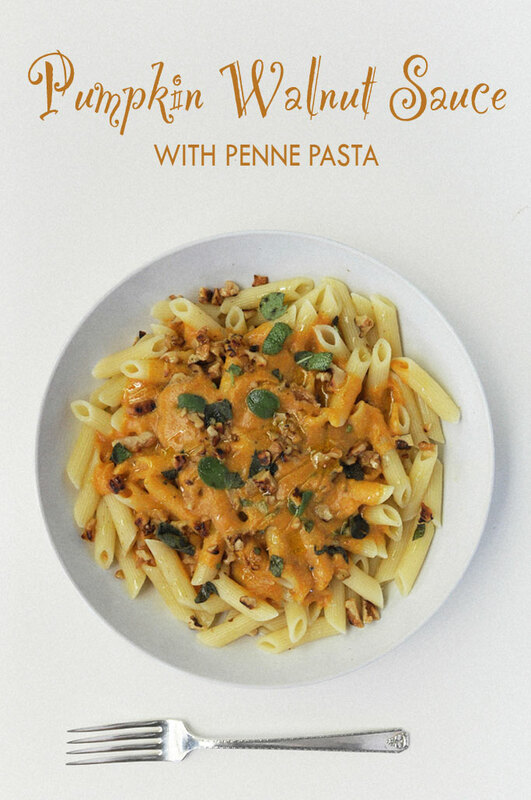 Which brings me to the Vegan Pumpkin Walnut Sauce with Penne Pasta recipe. I found this recipe a few years back on Martha Stewart and decided to make it vegan instead. Wanted to see if it would come out just as good and it did. I didn’t really miss anything because the dish itself is flavorful with the sage that enhances the pumpkin flavor. Pumpkin – full of many anti-oxidant vitamins such as vitamin-A, vitamin-C, and vitamin-E.
Walnuts – excellent source of anti-inflammatory omega-3 essential fatty acids, in the form of alpha-linolenic acid (ALA). Almond Milk – lower in calories than other milks as long as it is unsweetened. It’s also free of cholesterol, saturated fat, and is naturally lactose free. In a separate pot heat olive oil over medium. Add sage and garlic, stirring, until starting to brown, 1 to 2 minutes. Carefully (oil is hot and will spatter) add pumpkin puree almond milk, vegan parmesan, vinegar. Stir sauce until heated through, 2 to 3 minutes. 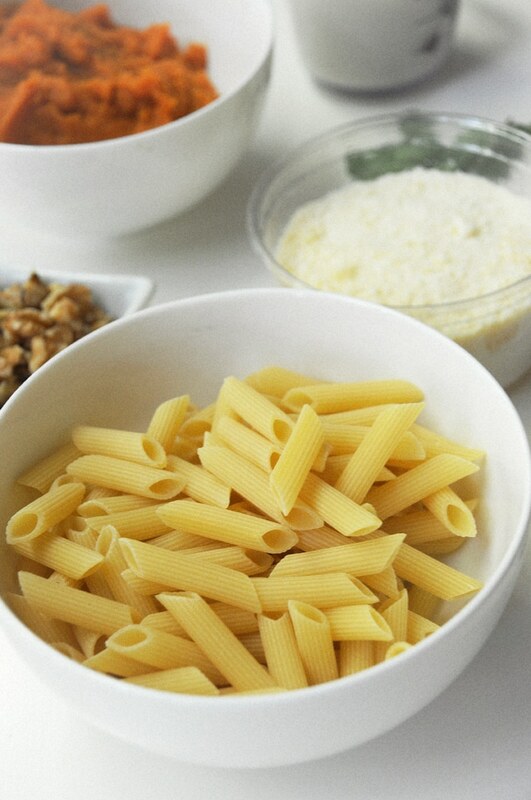 Add pasta to sauce, and toss to coat. If sauce is too thick, add some reserved pasta water. 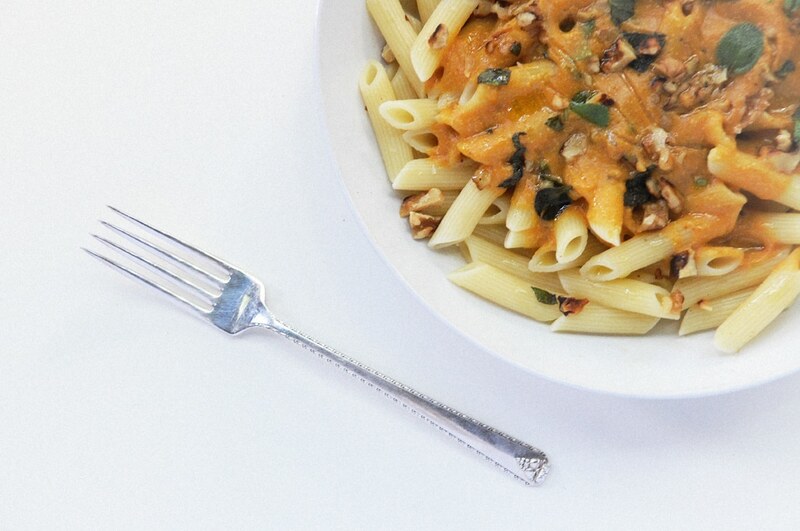 Serve pasta sprinkled with fresh sage on top and toasted walnuts on top.